This feather titanium pendant is 30mm in length and hangs from a 16″ silver chain. These are hypo-allergenic, lightweight and comfortable to wear. Feathers are a symbol of hope, balance and good luck! Available in three different colour options, choose your favourite from the drop down menu and keep a look out for our matching earrings. 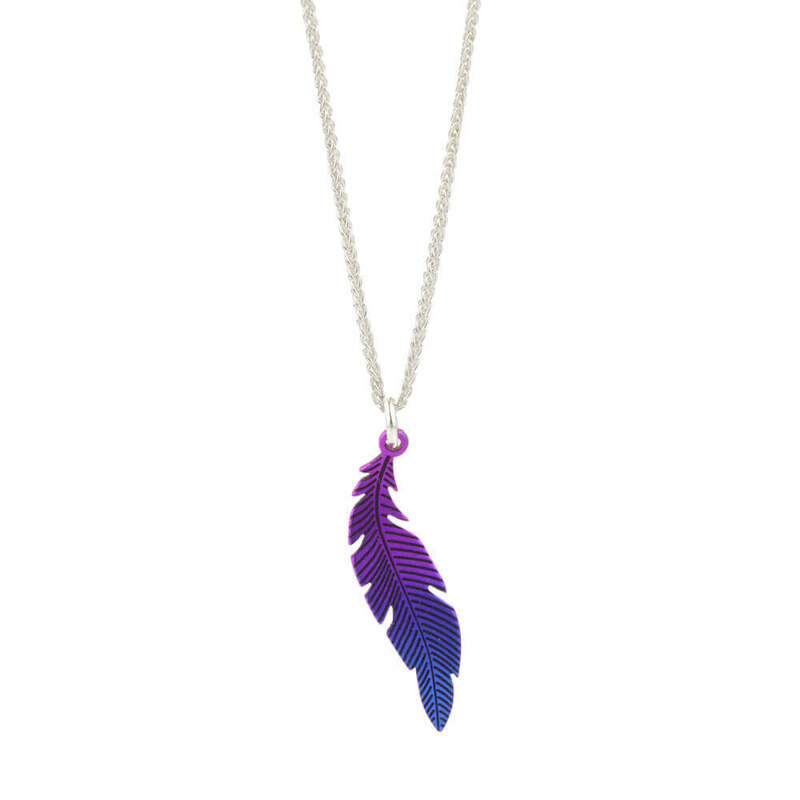 This colourful feather titanium pendant is 30mm in length and hangs from a 16″ silver chain. Available in three colour options.